Hello Ladies!!! You must have heard Shipa Shetty in Prega News advertisement saying that “Maa banana ka ehsaas hota hai kuch khaas” (Sense of motherhood is a unique one). The same unique sense I underwent when my pregnancy was confirmed by pregnant strip. 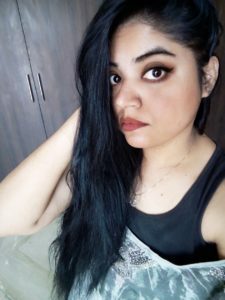 Here is my experience and review about it. 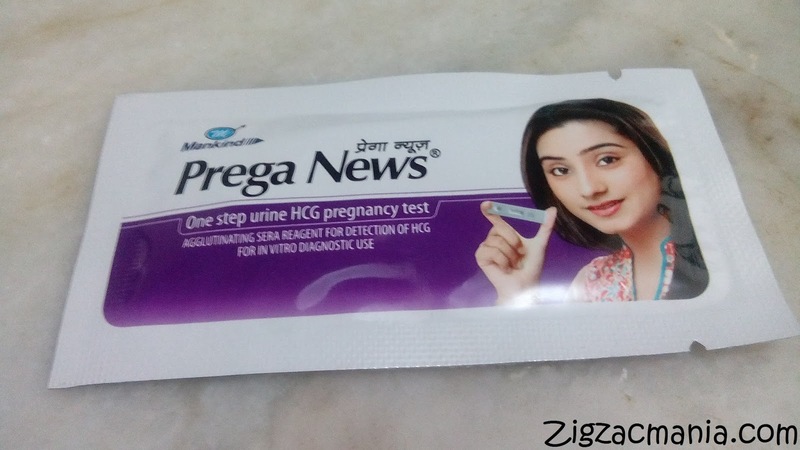 Product claims: Prega News Test Kit is specially designed for women who are expecting a child. 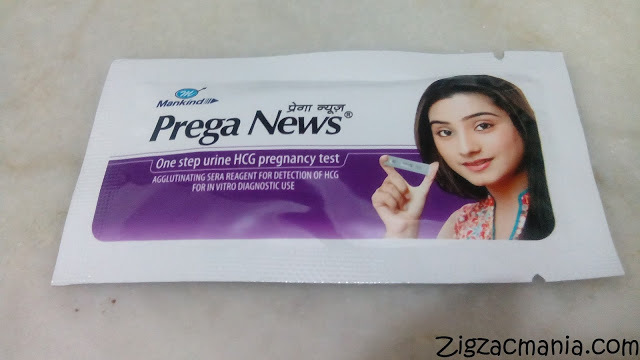 It is very helpful and effective for HCG pregnancy testing in one step. 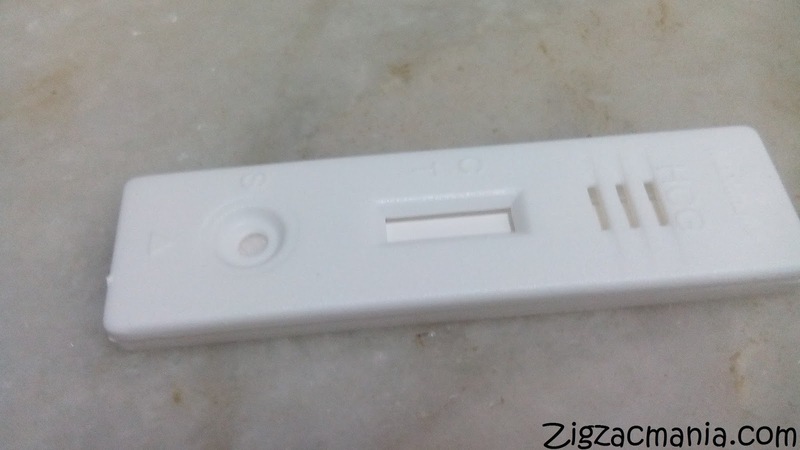 To detect pregnancy, it contains an agglutinating sera reagent. With this kit, you will need not to visit the doctor and you will get results in just five minutes. The accuracy level of this kit is 99% and you just need 3 drops of urine as a sample for testing.Prega News Test Kit is an easy and convenient to use. 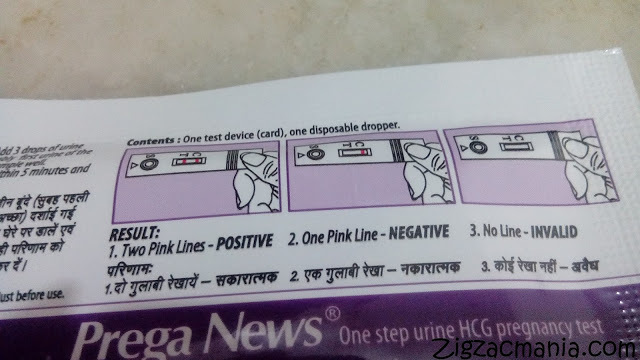 For the results, if the kit indicates one pink line then the result is negative and if the kit indicates two lines i.e. one dark pink and one light pink lines then the result is positive. Perfect for easy and quick urine HCG pregnancy test. Gives results in 5 minutes. Helpful for easy pregnancy detection. Designed for in vitro diagnostic usage. Agglutinating Sera Reagent for pregnancy testing. 1.Take out the pregnancy detection card/strip and place it on a flat surface. 2. Draw out a little urine with a dropper (provided with the kit) and put just three drops in the circular test well. Do not spill urine on the reading strip. 3. Wait for three to five minutes and then read the test results. Trying to read the results before the stipulated time or waiting too long, can both lead to inaccurate readings. Packaging: This kit comes in a purple & white colored package. It includes a white color strip with a dropper. 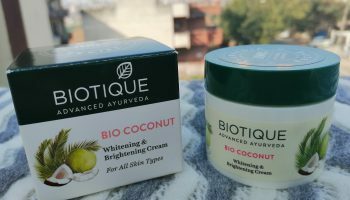 In front of the packaging, one can see the picture of TV actress Neha Marda and at the back all the required information about the product. 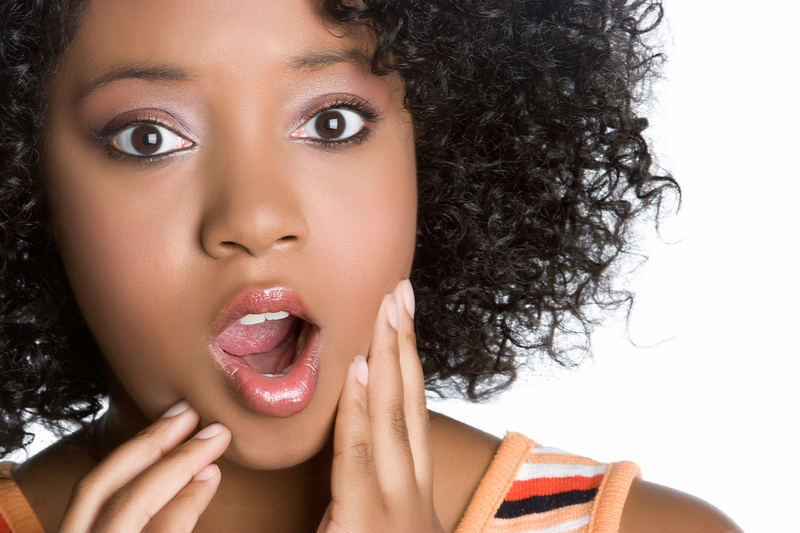 My opinion about this product: The time I missed my period, I had a doubt that I am pregnant. For confirmation, I took home a urine pregnancy test. I bought “X” company kit, which to my disappointment gave a negative result. 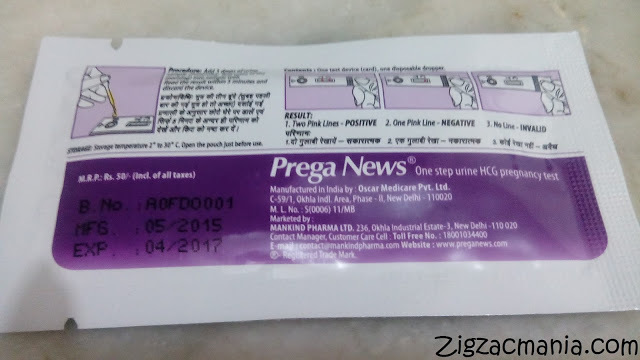 I was very confident of my intention, so this time I bought Prega news kit. 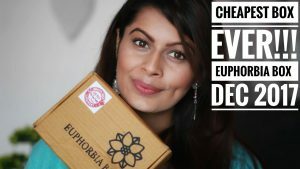 My friend recommended me this test kit as very effective even if we are taking the pregnancy confirmation test earlier. * One line indicates the pregnancy negative result. * Two lines indicate the regnancy positive result. Nice review as well congratulations!! U didn't mention the time when u were experiencing the pregnancy, but having a child is always a good news so congrats for that!! Quite a detailed review dear. I too had similar experience. Even BetaHCg test gave me negative result, why because my body produces Beta HCG late. 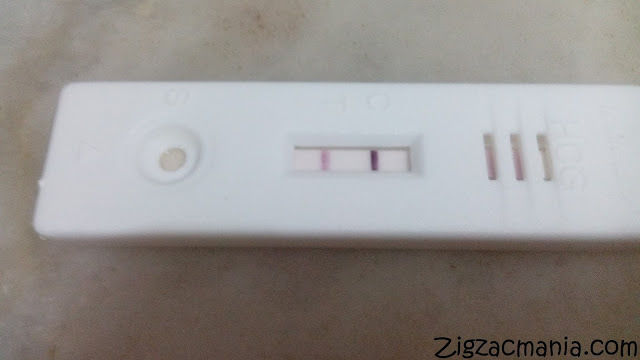 So after four negative tests, I finally got one positive test. 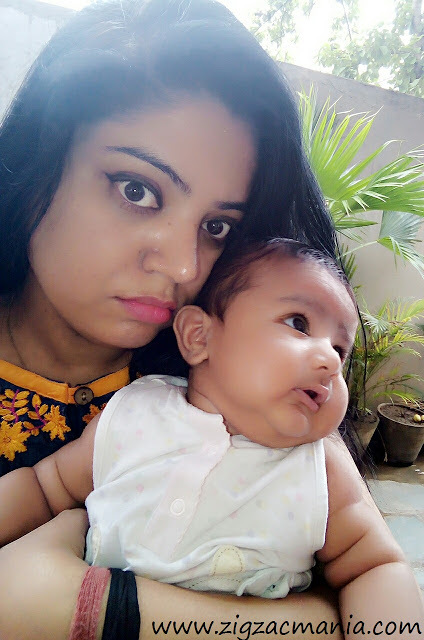 By the I was almost nine weeks pregnant. I was just sharing a possibility. This is such a great invention. 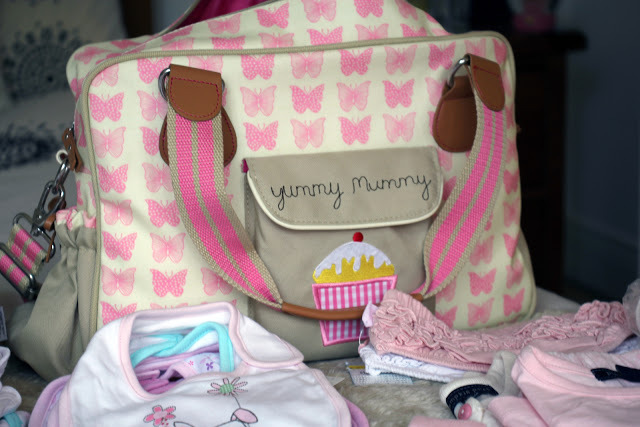 Great review dear!!! Hello. I wanted to know that do I have to refrigerate the kit overnight? Because I'm worried that the last two times I didn't, I may have gotten a false negative. Thanks, please respond asap!